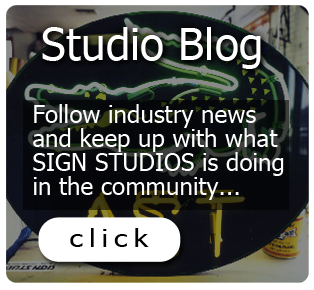 Sign Studios is your one stop solution to all of your signage needs. 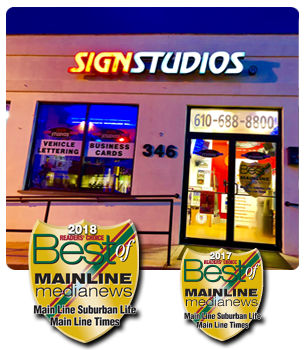 From Logo Design, Banners, Redwood Signs, Channel Letters, Illuminated Signs, Dimensional Letters, Monument Signs, Job Site Signs, Real Estate & Yard Signs, Retail Signage & Decor, Digital Graphics, Full Color Process Printing, Vehicle Lettering, Boat Lettering, Vehicle Wraps, Magnetic Signs, Screen Printing, Business Cards, Menu Boards, Window Lettering, Ready-To-Apply Lettering, Directional Signage, Decals & Labels, Stainless Steel – Cast Metal – & Plastic Letters, Archetectural Signage, Trade Show Booths and Displays, Halogen and Goose Neck Lighting …we have it all! Looking for Genuine Giclee Prints of your photos & artwork? 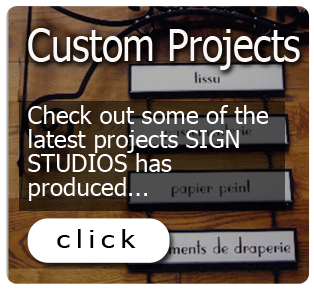 SIGN STUDIOS has been producing fine heirloom quality reproductions of original artwork and photographs since 1984. Our Master Printmakers adhere to strict standards of the Giclee printing process with specialized high resolution digital equipment, superior solvent inks and premium archival canvas and papers to produce exceptional quality prints that are consistent with that of collectible fine art. 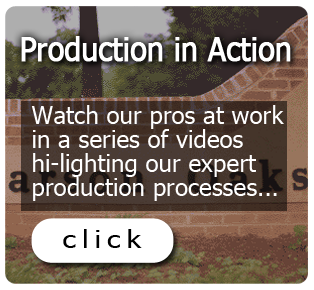 Whether you are a hobbyist or a professional, SIGN STUDIOS has a creative solution for preserving and reproducing your treasured images.